Welcome to Research at Macquarie Graduate School of Management. It is our goal to create an inclusive and stimulating postgraduate experience. If you have any queries or concerns please contact either Kerry Daniel, Stefanie Jreige and Asal Accardo of the MGSM Research Office at research@mgsm.edu.au or by phone on +61 2 9850 9038, +61 2 9850 7732 or +61 2 9850 9044. There are also a variety of resources that you can utilise within the school, the Higher Degree Research Office (HDRO) and Macquarie University (MQ). MGSM Research Candidates have a dedicated Research Hub located in Building E14B at the MGSM North Ryde campus. The Research Hub resources are available to doctoral candidates only. Access is available from 7am to 7pm on weekdays, and from 9am to 5pm on weekends. Please contact the MGSM Research Office to organise access. Are available for use in the Research Hub via your OneID login. Can be accessed from the Research Hub in Building E14B and the Student Computer Lab in E14A. Are available on request. Please complete and submit a Business Card Order Form to the MGSM Research Office. 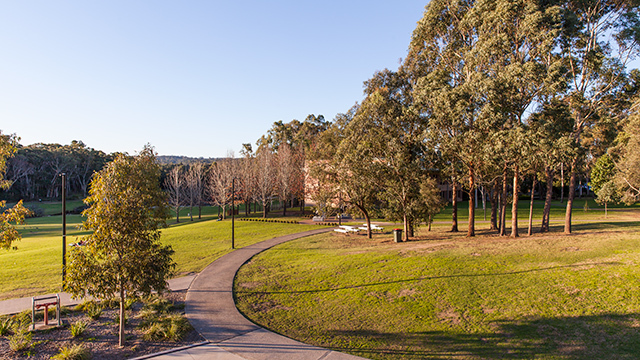 All candidates have access to the Macquarie University Wireless Network OneNet from anywhere on the MGSM or Macquarie University campus. The MGSM facility at North Ryde has a dedicated car park, which can be accessed only through the boom gate via the Talavera Road entrance. Yearly and half yearly parking permits can be purchased from MGSM Student Services. These passes also provide access to Macquarie University car parks. All HDR candidates have access to a Macquarie University email account. Access is via the Macquarie University Student Portal. The Portal provides access to all Macquarie University student resources and information, including the University calendar, student email account, library catalogue and reserve. All official MGSM and MQ correspondence is sent to your student email account. It is your responsibility to access your student email account on a regular basis. You can redirect your student email account to a personal email account by following the instructions when you log in. All HDR candidates have access to the Macquarie student database. You can maintain your contact details, view your enrolment details and view and print a statement of outstanding charges. Access to eStudent is via a login using your student number and your eStudent password.